The Investing in African Mining Indaba, which runs from February 4 - 7 at the Cape Town International Convention Centre, is considered the largest annual mining investment event in Africa. 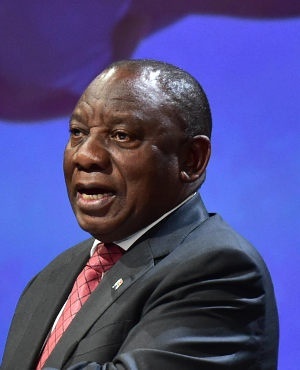 "[Ramaphosa] is expected to address mining industry stakeholders from across the world... and take part in the Mining Indaba’s 25th anniversary, a special event which will celebrate 25 years of progress in African mining," the Mining Indaba said in a statement. "This ties into continental wide themes, particularly in South Africa with President Ramaphosa’s investment drive, so we couldn’t be more excited to be welcoming him to Mining Indaba next week. This will be a fantastic opportunity for delegates to hear about the President’s plans for driving growth and investment in the mining sector in South Africa," said Chapman. Ghanaian President Nana Akufo-Addo is also expected to attend the summit to promote Ghana’s investment reform agenda to the mining world, according to the indaba's website.